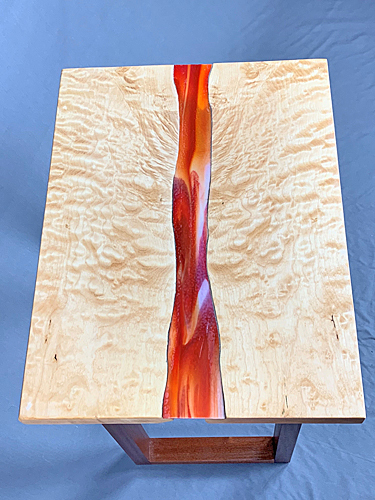 Bill Koss, from Olympia, Washington,believes that wood can possess a character that waits for someone to release its latent personality. He looks for the opportunity to let the wood express itself. In doing this, he prefers curves over straight lines, natural colors over stains. This does not mean he believes that wood must always appear alone. Wood combines well with other brightly colored woods. And glass and metal can accessorize the natural attributes that nature provides. Even colored stones occasionally appear in his projects. In short, Bill has no hard and fast rules when it comes to creating new projects. The majority of his material is sourced from local mills. He also scavenges leftover material from neighbors. 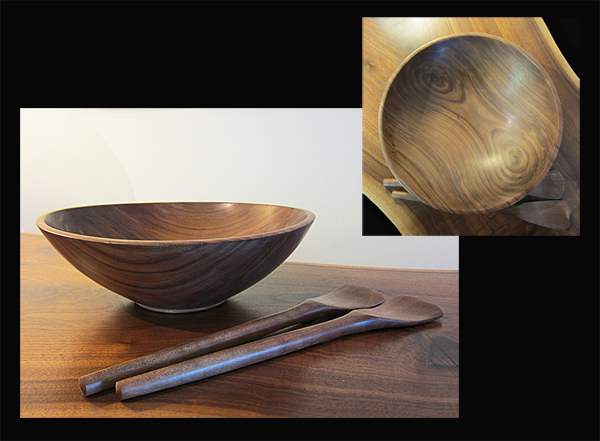 His goals are to continue growing his woodworking skills; avoiding artificial limitations as he creates and produces functional and attractive art. Before devoting his time to woodworking, Bill worked as an analyst for the state legislature and as part of executive management at four state natural agencies. 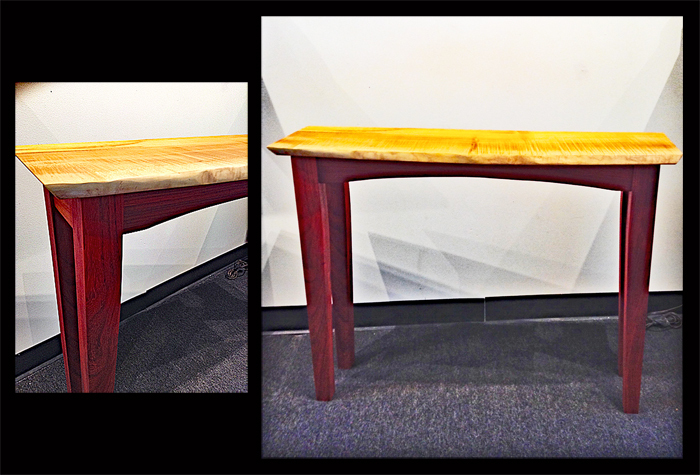 BILL KOSS: Hall Table, "25 or 624"
Maple top, padauk legs; linseed oil finish. 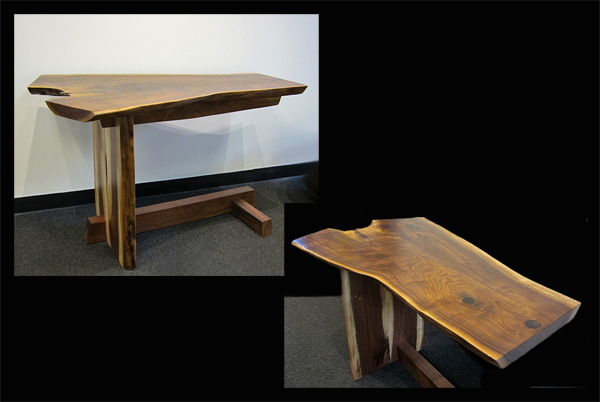 Dimensions: 40" wide x 29.75" tall x 11"75 deep.